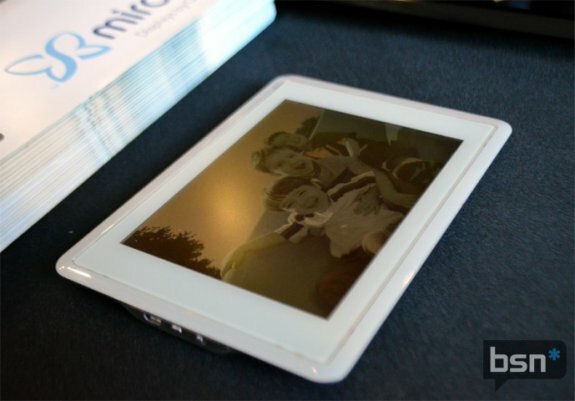 Bright Side of News reports Qualcomm and Kyobo showed off the first eReader with Qualcomm's Mirasol screen technology. 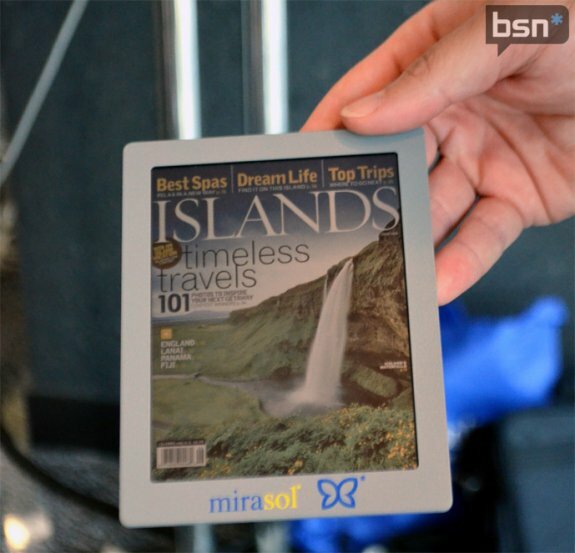 Mirasol intends to bring color to the eReader market, you can learn more about it at Bright Side of News. From our conversations with the company, Mirasol simply fits into the company and more importantly Paul Jacob's vision of the next big thing in mobile. Qualcomm believes that they have put brought significant amounts of improvements to the way that mobile processors and baseband chips perform and consume power. As Qualcomm has 'solved' these problems, they have looked into new places where mobile is struggling to perform and save power. Qualcomm saw that displays were the new power hogs in mobile devices and as such decided that Mirasol would be the perfect solution to many mobile devices' power consumption problems. Furthermore, it was explained to us that a lot of the power savings result in the fact that most of the time when we're reading a page or a message, we don't really need to be refreshing the screen as the content remains the same. Because of this fact, Qualcomm saves a lot of power by not refreshing the screen unless it is absolutely necessary to do so. The Kyobo eReader will have a 5.7" screen with a resolution of 1024 x 768 pixels. The device uses the Qualcomm S2 Snapdragon processor and promises a battery life of several weeks under typical usage scenarios. Pricing in South Korea is 355,000 Won, which equals around $310. I'd be interested in seeing the technology in real life, the pictures can't really convince me. The front side shot reveals the colors produced by the Mirasol screen are pretty bland. And the angled shot looks pretty bad..